A humorous card suitable for any occasion. 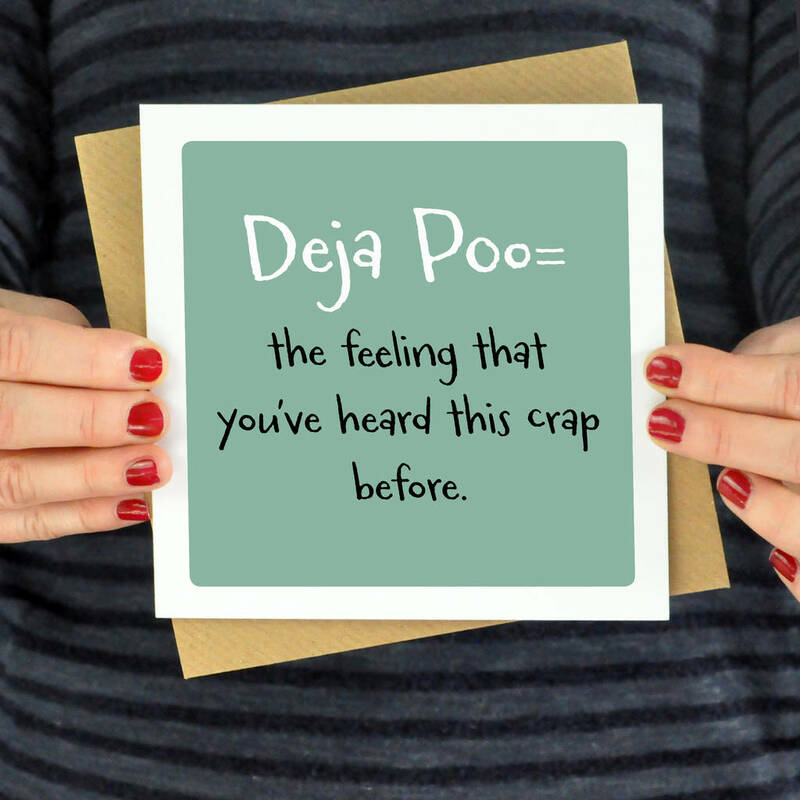 The card is mint green and the text in contrasting white and black reads Deja Poo = The feeling that you've heard this crap before. Blank inside and suitable for any occasion - birthday, mother's day or just to send a note. All designs are printed on premium quality 350gsm silk white board with high calibre photographic inks. Envelopes provided are white, 150 mic thickness.